We all concur that aging is a natural process but it’s an undeniable fact that some people age faster than others. While there are biological reasons for that, there are also a number of other factors which can cause aging. This is what we shall be focusing on. Research shows that almost half of the people appear older than their actual age. This is not a result of coincidence, but rather there is a causal relationship which we ought all to know in order to age gracefully rather than faster than our age. Many research studies have found that happy people live longer. This is associated with the attributes of joy in our body. Happiness keeps away stress which is an accelerator for diseases. Happiness also helps to maintain a healthy immune system and a strong cardiovascular system. There are lower incidences of high blood pressure in people who are happy most of the times. On a contrary note, facial expressions can also make you appear older than you are. For example, a person who is always smiling and laughing is likely to develop lines and wrinkles on the face than one who doesn’t. In the same way, a person who is always angry or not happy with a constant expression of anger is also likely to develop lines and wrinkles faster than those who don’t. A radiant looking body requires hydration and proper oxygenation. Smoking prevents the body from having enough oxygen and thus even the circulation and delivery of the nutrients is hampered. The act of smoking in itself also makes lines develop faster on the face due to the pressure on the muscles associated with smoking. In addition, smoking carries a bunch of other health risks which can accelerate aging in an extraordinary faster way. Alcohol is a diuretic and can easily get rid of the much-required water in the body. In addition, it puts pressure on the liver and the kidney. These organs are important for a healthy looking body. Excessive drinking has also been associated with the formation of varicose veins, inflammations, and spider veins. These are all conditions which can make you look older than your actual age. They also increase free radicals in the body. Sun is important because it can help in supplying vitamin D to the body. However, research has shown that exposure to sun on an excess of 20 minutes has dramatic adverse effects which are caused by the harmful ultraviolet rays. Underexposure to sunshine also inhibits the growth of healthy skin. This makes the skin layer thin and prone to wrinkling at a faster rate than normal. This is the most abundant protein in the human body. Proteins are also called bodybuilding foods. Collagen ensures that the body maintains shape and structure. It’s present in bones, skin, muscles, and tendons. 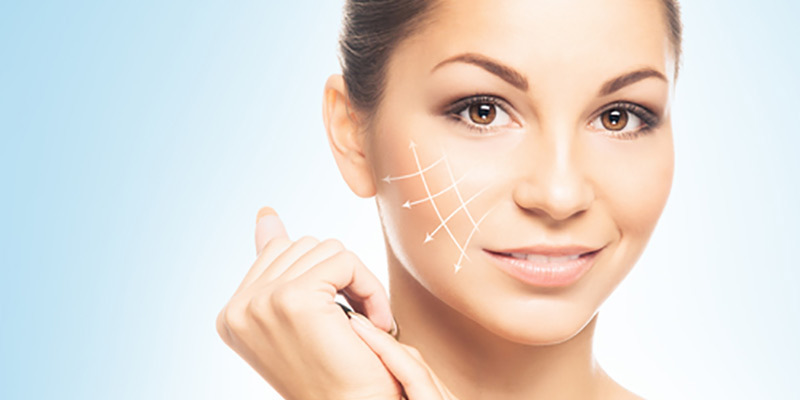 When there is an excess breakdown of collagen, the aging process sets in at a faster rate. The easiest way to revert this is by supplying synthetic collagen in the body to supplement the one it’s producing. As we have mentioned before, aging is a natural process, and it’s inevitable. However, specific factors make it happen at a faster rate. To age gracefully, we are supposed to stop all of the above factors that accelerate aging and embrace good skin management practices. You can also read our anti-aging secrets. However, for better advice on how to take care of your skin and slow down the aging process, you can visit the skincare professional near you or your doctor.